I was pretty surprised when I received an email from long time Runner’s World Magazine contributor Hal Higdon telling me he wanted to quote me in the Half Marathon Training book he was writing. I was even more surprised when I received a signed copy of the book last week (a little over a year later) and discovered my name and a whole page featuring one of my most popular blog posts. Here is the story of how it all happened. For anyone who isn’t familiar with Hal Higdon, he’s kind of a big deal. Hal has contributed to Runner’s World for longer than any other writer, an article by him having appeared in that publication’s second issue in 1966. He is the author of 36 books, including a novel, Marathon, and the best-selling Marathon: The Ultimate Training Guide. He ran eight times in the Olympic Trials and won four world masters championships. He is also one of the founders of the Road Runners Club of America (RRCA). As a new runner, Hal’s training programs featured on his website were paramount in me going from a 2 to 3 mile runner to a marathon runner in just a few short years. In January of 2015 when he was writing his new book about half marathons, Mr. Higdon asked his Facebook community (all 71,000+ of them) if they remembered their first run and the emotions they felt. He asked what advice we would give other new runners. I commented on the post with a somewhat lengthy story. Here’s what I wrote. He sent me an email in early February of 2015 to tell me that he felt my reasons were so relatable to other runners that he would feature a page with the highlights of my “10 Reasons” post. I was ecstatic! After that exchange he also forwarded my post to Tish Hamilon, the Editor of Runner’s World. I never heard from her (not surprising I suppose). Mr. Higdon then became a sort of mentor of mine. I asked him for feedback on posts I was writing and he even gave me the stamp of approval on my Busy Mom Marathon Training Plan and my Half Marathon Training Plan. He shared blog posts I published about all three of the marathons I ran in 2015 (Big Sur Marathon, Cleveland Marathon and the Chicago Marathon) helping to build a community through my blog that reaches around the globe. I was so excited to finally meet him at the Marathon Expo in Chicago last October. I got to shake his hand and thank him for all he had done to help me explore my love of running and to help boost my confidence as a writer. I do have a Journalism degree, but it had been years since I put it all into practice. 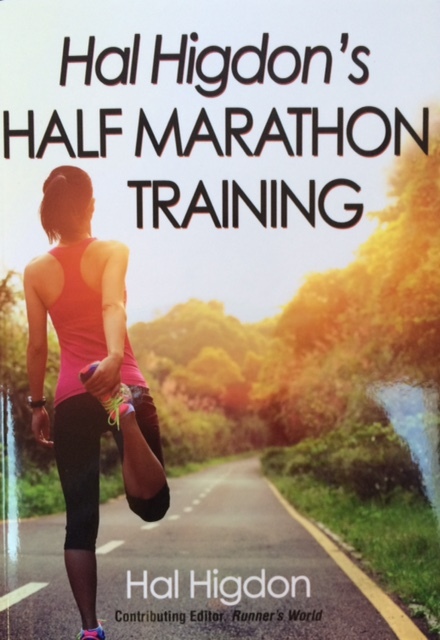 Finally this past week I received the new book, Hal Higdon’s Half Marathon Training! I had no idea whether I was actually mentioned in there or not. To be honest I had kind of forgotten all about it until I saw an ad online that the book was now on sale. When it arrived I sifted through it quickly and didn’t see my name anywhere. My husband sent me a note later that afternoon while I was at ice skating with my daughter to tell me that it was right there on page 51 in black and white. Pretty cool especially considering in 2012 I had never run more than a mile. Now I was featured in a book about half marathons??? So at this point I realize that it appears as though I am just tooting my own horn. Perhaps I am a little. But there is a message I’m getting to and it is this. Don’t give up on your dreams and never stop searching for new ones. I left my job as an advertising executive in 2007 to raise my family. Over the 8 years following I experienced a handful of moments when I wondered if it was the right choice. I missed having people stop and listen when I spoke. I longed for feeling like I had something important to say. At times I yearned for using my talents for something other than folding laundry, changing diapers and organizing closets. Don’t get me wrong, the tasks of a parent are so very important and I wouldn’t trade the days I was lucky enough to be home to raise my babies for anything. But it doesn’t change that I also wanted to feel like I was using my gifts in other ways too. I quietly looked forward to the day when I had time to let my creative light shine again through my writing and my photography. When I could share my passion for life and my inspirational outlook to help others also live their happiest, healthiest, most fulfilling life. That journey began when I started writing this blog about two years ago and has since opened so many new doors, both professionally and personally. I’ve met hundreds of new friends and fulfilled some wonderful goals. This crazy sequence of events that turned into me being published in a book about half marathons is just one of them. I wanted to capture these events here on my blog so that I always remember them. (I can’t seem to remember a whole lot after having our third child!) But I also wanted to remind you all to never let yourself think you’re too old (or too far past where you were when you left your career to become a mom) to start something new or revive something old. Something surprising can happen the year after you meet a big huge goal. Like running your first marathon (or your first three in my case). After your mind and your body are so focused, suddenly you feel lost. Well maybe not you, but me. Following the high of conquering an enormous task, one that seemed impossible at one point, I celebrated for a bit. I felt on top of the world. Powerful. Unstoppable. Like I could achieve anything I set my mind to. But before long at all, I began feeling lazy. Even as my body was still recovering from the big race, my mind started playing tricks on me as I wavered between never wanting to run ever again and feeling like I must do it again tomorrow. I was enjoying the rest, but hating the way I felt while resting. My mind started telling me I’d never again achieve that goal and in the next breath was planning how I was going to beat my best time. I kept seeking out that same euphoria I felt during those most challenging, yet most satisfying last miles of a marathon. But no other exercise brought me to that place. So, I considered going back for more, to experience the high once again. But then I recognized the cycle I was in. I challenged myself to NOT attempt a new goal to ween my mind and to lower my expectations. Then came the withdrawal, the self doubt and mood swings. I have glimpsed dependence. I now understand what it’s like to be an addict, always coming back for more, to quiet my mind and to feel… normal. Except my drug isn’t one you smoke or snort or shoot. It is the endorphin rush I get while using my own two legs to run as far and as fast as I can. Like an alcoholic who needs more drinks with time to feel the buzz, that same kind of dependence had me needing to run 15 miles to feel high when five miles used to get me there. I’d run through illness and injuries and blizzards. Was I teaching my children discipline or obsession? Dedication or addiction? There’s a fine line. The end of last year I experienced the low that comes after the ego boost, the confidence lift, the high of running a marathon and then another and another. The beginning of this year I forced myself to take a break from running altogether to bring myself back down to reality. You could say I went “cold turkey.” I focused on getting exercise through other means. And then with a clean slate, I decided to go at it again with a more balanced, less dependent approach. Now I run when I can, because I want to. Not because I need to. The three marathons I ran in 2015 will always be races and a period of my life of which I will be extremely proud and look upon fondly. Though I have learned that, for me, it is healthier to stick to shorter distances. As I get older I keep confirming through all different aspects of my life, that I am best when I live “in the middle.” Like when I run half marathons or even just a few short miles on the trail instead of three marathons in one year. Or when I strive to eat healthy most of the time and allow myself to splurge some of the time. Or like when I let go of my perfectionist nature and let my house be a little messy. That is my happy medium where I am not dependent and addictive, but happy, healthy and balanced. That’s where I am now and that’s where I intend to stay. Last week I did A LOT of cooking. I was trying to decide which were the best of my recipes to share in an upcoming local magazine feature. The assignment was to provide “tried and true” party recipes to “wow your guests.”I kept going back and forth about which of my favorites would meet those requirements. “What’s more tried and true than Grandma Carter’s recipes?”, I thought. So I whipped up Grandma’s Eggplant & Rigatoni with Tomato Pesto, with my own little twist. I cooked and I photographed and I served it up to my family. We all gobbled it up and with garlic breath (there is a lot of garlic in here!!!) my husband gave me the two thumbs up. Long story short, you all are the lucky recipients of this “tried and true” recipe. It will “wow your guests” or even just your family. Serve it warm on a cool evening or at room temperature in the summer months. Here’s what you’ll need. First put together the sundried tomato pesto. Combine sundried tomatoes, garlic, pine nuts, basil and salt in a food processor. Process until finely chopped. With machine running, gradually add 1/2 cup oil. Process until almost smooth. Set aside. Cut onion in 8 wedges. Put in 13 x 9 casserole dish. Brush with 1 Tbsp. oil. Roast in 425 degree oven 10 minutes. Cut stem off of eggplant. Cut eggplant in half lengthwise. Brush with remaining oil and sprinkle with salt and pepper. Stir onion. Place eggplant in pan cut side down. Roast 15 minutes more on until onion is golden brown and eggplant just tender. Meanwhile cook pasta and drain. Toss pasta with tomato pesto and pepper. Put in serving bowl and keep warm. Cut eggplant with serrated knife in 1/2″ slices. Toss eggplant and onions with pasta. Sprinkle with cheese and parsley. Serves 4 for dinner or 6 to 8 as a side dish. Serve alongside tofu, fish or a green salad. I hope you enjoy making my Grandma’s recipe as much as I enjoyed sharing it with you. Look for another post soon where I’ll share the recipes that made the cut for the magazine!!! Following is an article I wrote for the April issue of Northeast Ohio Parent Magazine. I know, I know, that’s all I’ve been sharing lately. Don’t worry. I PROMISE to publish new, unique content here soon! I have so many posts already written in my head, I just can’t seem to find the time to sit down and write them out. Can someone PLEASE invent a way to add more hours to the day! Welcoming a new baby into the world is a time full of emotions; joy, excitement and perhaps even a little anxiety. To some, the first year can seem even more challenging the second time around. Now you’ve got a new baby AND their older sibling to care for. How do you manage all of their needs all at once? Here is some advice from both parenting experts as well as experienced parents themselves on how to survive the first year, again. Helping your older child prepare before baby’s arrival will make the transition easier for everyone later on. Molly Edwards, School Psychologist at Gurney Elementary in Chagrin Falls remembers what her sister told her when she was pregnant. “Having a baby is like getting a new life-long roommate who is a stranger that you don’t get to interview.” “It’s totally understandable that a child might be nervous about what to expect,” says Edwards. “Get out your child’s baby book or photos and talk about what it was like when he or she was a baby,” suggests Edwards. “Kids love talking about and hearing about when they were an infant.” There are also many appropriate books that you and your child can read together to prepare for a sibling’s birth. Discuss with your child how things changed around the house when he/she was born. Edwards says that you and your child can come up with a list of ways you think life in your home may change when the new baby arrives (e.g. more visitors, the need to be quiet during nap time, etc.) Include both positive and potentially negative changes. Show them bottles, diapers and all the gadgets that go with a new baby. Tell them how the baby will use them. You may consider mentioning any safety concerns like not giving the baby small toys or touching their head. Let him or her help you set up the baby’s room, pick out new clothes, wash them and put them away. Help your child pick out a special gift to give the baby when he or she arrives. Put together a “treasure chest” of little activities, toys and books that you can allow your older child to choose something from in the early days while you’re nursing often. The dollar store is a great place to stock up on things like magic marker coloring books. Consider holding off on potty training, “big boy beds” and visits from the Pacifier Fairy until after you have adjusted to life as a family of four. Older children can regress around their new baby siblings and you will certainly have times when you are happy to give the older child a pacifier and place them in their crib so they will nap… so you can too. Perhaps most importantly, be sure to talk to your child about how your love for them will not change. 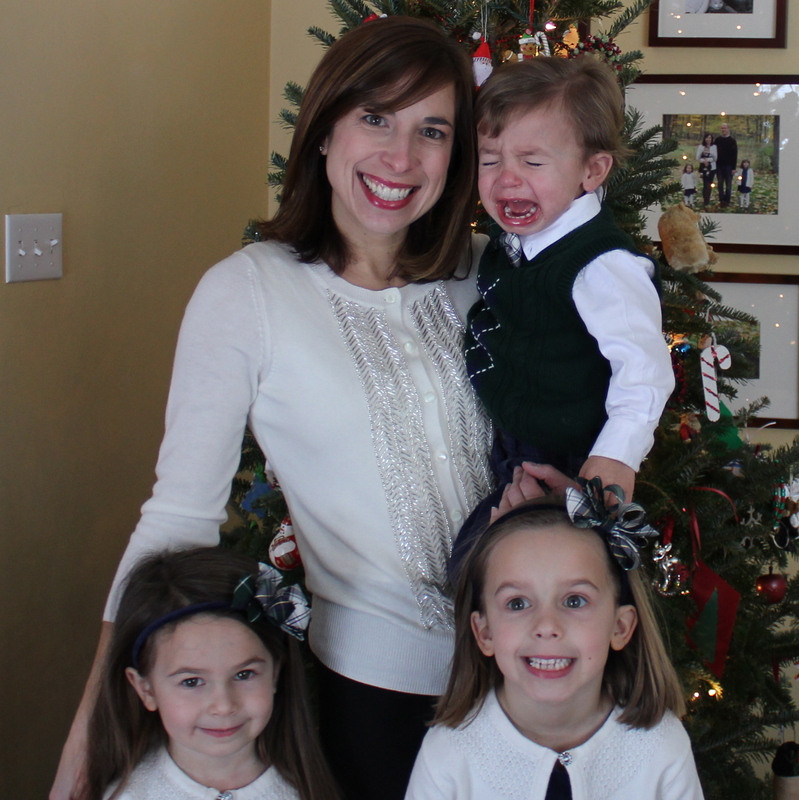 “When I was about to deliver my second child, I recall being afraid of how I was going to love another child as much as I love my first,” says Sarah Kostura, Chagrin Falls mother of three boys. “As soon as number two arrived, my love for them both multiplied. “Love is not finite. It is boundless, especially when it comes to loving your children.” Sarah is expecting her fourth boy this July. One benefit of caring for your second infant is that you can relax a little about some of the day to day matters that caused you worry the first time around. You know how to change diapers, you’ve worked through breast feeding once before, you survived the sleepless nights, you know how to work the carseat and how to fold the stroller. Have confidence in all that you know from the first child. While those early days are perhaps the most challenging because you’re recovering from childbirth and you’re very tired, you know now that they are also quickly fleeting. Cling to the sweet moments because you won’t get to do them again. It will take some time to find your new normal. As you know from your first child’s first year, you can’t expect for there to be a routine for the first several weeks or even the first few months. But you know now what sleeping strategies work for you and those that don’t and you understand that the sleep deprivation is somewhat short lived. It makes it a little easier to get through those long nights when you know that they won’t last forever. “Try your best to keep routines as consistent as possible for your older child before and after the new birth,” says Edwards. “As many of those little routines that can remain the same before and after the baby arrives will help keep your first born, and the whole family, from feeling like everything has changed.” Soon the new baby will adapt to the family’s schedule too. “Always make a special effort to have one on one time with your older child,” says Kristen Thalman, mother of two ages 4 and 1. All day long they hear “Wait, I have to feed the baby” or “Be quiet, baby is sleeping.” Even if alone time is bath time, reading books together or a walk in the park, one on one time is important. Don’t forget to make time for yourself and with your spouse. It’s easy to feel guilty leaving two needy kids with a family member or a sitter. Even just an hour or two away to exercise, pamper yourself, have dinner together or shop by yourself can go a long way. Overall it’s important to simply take one day at a time. Just like in all of life’s challenges if you think too far ahead it is easy to become overwhelmed. If you focus on the task at hand this day, even just this hour, before you know it you’ll be as confident managing two children as you felt managing the first.